The book entitled “Sundarbans Mangrove: Fish and Fisheries” presents mainly mangrove overview, sundarbans mangrove forest, fisheries of sundarbans, coastal aquaculture and sundarbans, environmental impacts and sundarbans ecosystem, fisheries products from the sundarbans, analysis of mangrove and SRF (Sundarbans Reserve Forest) managements. Moreover review of fisheries research on the sundarbans and code of conduct and practices for the management and sustainable, use of mangrove ecosystem and guidelines for mangrove ecosystem survey is included in this book. 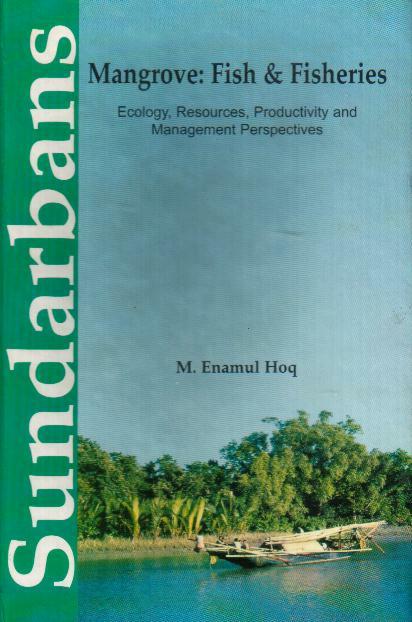 This book would be helpful to those specifically working for biodiversity and conservation and ecology of Sundarbans and to the teachers and students of the natural sciences as well as to the general readers. Chapters: The following chapters are included in the book. Visited 1,044 times, 1 visits today | Have any fisheries relevant question?